Tuesday, February 10th, 2015 . Where did NoshList go? It is now Waitlist Me. But don’t worry, everything you loved about NoshList is still there, plus a lot more. As more and more businesses from all types of industries have been signing up to manage their waitlists, reservations, and appointments, we decided having a name that was broader and less tied to food would be better. As Waitlist Me, we are excited about all the opportunities for helping people that are waiting everywhere. The road to Waitlist Me was paved with a number of features and user experience improvements. It started with enhancements for customized notifications and waitlist views. Table management was made more flexible so customers could also be assigned to people or other resources. Later, more prioritization was put on features such as reservations and appointments that were essential to many businesses. Finally, we invested more resources into making Waitlist Me cross-platform, so it would work on iPads, iPhones, Android tablets and phones, and even computers. Being truly cross-platform is key to bringing the services to businesses everywhere. Some businesses don’t have Wi-Fi or have concerns using an iPad because of possible damage or theft. Now, even businesses with computers plugged into the Internet can use WaitList Me for their waitlists and reservations. The Android app also runs nicely on Clover, which is revolutionizing the way businesses think about POS systems. In addition to the name change, we have redesigned and improved our iPhone and Android phone apps, and made a number of usability improvements in our tablet apps and online waitlist. Waitlist Me is also launching with a few powerful new features, such as the post-visit feedback surveys. Premium users can now customize and enable feedback surveys to go out after customer visits. Customers can easily send quick numerical ratings back in text messages or take surveys to rate their experiences in more detail, leave comments, an even request a manager to contact them about their visit. Waitlist Me is also rolling out its first major API integration with Enplug, a company that helps businesses better engage their customers with smart digital signage devices and software. More details on these new features will be coming soon. Wednesday, December 10th, 2014 . Memories of sitting on Santa’s lap can evoke strong feelings of nostalgia for many of us, and continuing the tradition of capturing these magical moments can be a must-do for parents and grandparents of younger children. The problem is that the holiday season is already a very busy time of year, and getting a turn on Santa’s lap usually requires some waiting. In worst case scenarios, it can even take several hours. Santa’s Playground and Santa’s Castle in Calgary have found a way to give back some of this precious time to families this holiday season by using NoshList for their waitlist. Believe Imaging, an event photography company founded by Shelagh Anderson, photographs children with Santa at two of the busiest malls in Calgary, Alberta, Canada. At each location, employees are tasked with the responsibility of making sure every child who visits gets a turn to tell Santa what they would like for Christmas. On average, the two centers combined receive upwards of 7,000 visits per week during the holiday season from November 23 through December 24. To better handle the large number of visitors, Anderson was able to streamline the registration process and improve the customer experience by rolling out NoshList at both locations. Prior to the launch of NoshList, employees were using pen and paper to take down names and numbers. “The problem with pen and paper was the constant barrage of customers coming to ask if it was their turn because there was no visual display letting the customers know where they were in line,” Anderson said. At first Anderson researched paging system, but the high initial and ongoing costs led her to seek an alternative solution. With the busiest days bringing over 700 kids to see Santa, children and their families can wait up to an hour for their turn. While there is a play room in each location to ease the boredom, having a waitlist system like NoshList gives parents and families the ability to do other things while waiting for their turn. Registration is handled by three employees who are each armed with an iPad to start the waitlist process.Customers can see their places in line by clicking on a link to the public waitlist view and get a better estimate of how much longer it will be before their turn. The company also encourages their customer service desks to also log on to www.waitlist.me/n/believe_mm to accurately convey to customers who phone in asking about the wait times. But the best part is that employees can also take down the children’s names and ages so Santa is prepared even before the child makes it to his lap. Monday, November 24th, 2014 . NoshList continues to be used by more industries beyond restaurants. From urgent care centers to educational businesses and bowling alleys, the wait list app is forever changing how businesses interact with their customers. To make the experience even better, WaitList has just released a number of new features for customizing the waitlist and notifications process. Many places serve individual customers rather than large groups or parties, so we have included an option in the settings that will simplify the waitlist view and flow for adding customers to not show party size. Similarly, many places will assign customers to a person or something that isn’t numerical like a table number, so we have made it easier to add and display longer descriptions. For example, a salon can assign customers to the name of a salonist rather than a number. There is more space in the waitlist view to display names and you can enter all the people or resource names you want to assign customers to in the “Manage Assignments” part of the settings. We still have the old view for any restaurants or places that track group sizes, and you can change this in the “Customize Waitlist” part of the settings. You can also change the display of the “Reservations” section if your business makes appointments rather than reservations. We have had the ability to customize text and phone notifications from the NoshList website, and now we have also added that to the settings in apps. Just go into the Settings and choose the “Manage Notifications” option. Instead of having separate buttons to seat and remove customers, we have combined these into a single check button for checking people off the list. When pressing on that you can choose to “Check off” the people that have been seated or served or you can choose to “Delete” them if they canceled or walked away before it was their turn. To make the waitlist history easier to find, we have changed the toggle for displaying history to appear below the waitlist, where the history will actually appear rather than in a button in the upper left that was often missed in our user testing. All of these updates are currently in the latest version of the NoshList Waitlist app and in the online waitlist on www.Waitlist.me and the customizable waitlist is in the Android app. Changing the notifications and the new history view will be coming to Android soon. Monday, October 27th, 2014 . Bowling is a great form of entertainment for for those times when we’re one-on-one or with a group of friends. But waiting for a lane can deflate even the most enthusiastic crowd. Using NoshList to manage their waitlist, the team at 10 Park Lanes found a way to make it easy for guests to eat, drink and play. 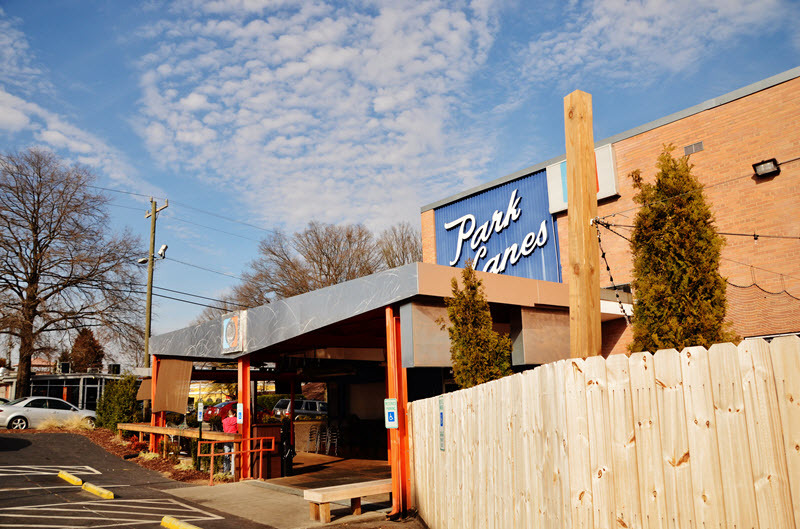 When 10 Park Lanes first opened in Charlotte, N.C., the venue consisted of bowling lanes and not much else. However, a renovation nearly three years ago included the addition of several restaurants and bars, and is considered a premier entertainment center. Prior to NoshList, 10 Park Lanes staff wrote each name down using pen and paper, and often lost customers as a result of long wait times. The bowling alley has now been using NoshList for two years to handle the more than 2,000 people that walk through its doors every weekend. With such a high volume of clientele, waits can last anywhere from three to five hours. The NoshList app was easy to install and easy to use for both staff and customers. It also has given people the ability to put their name on the waitlist, leave and come back when their lane is ready. The app is used across two iPads and the company uses it to track not only waiting customers, but also where they’re from. Using the QuickNotes feature, 10 Park Lanes staff can input customer zip codes and uses the information for marketing purposes. Monday, September 15th, 2014 . Being sick is no fun for anyone. And when you are sick, one of the top things on your mind is how to get better as soon as possible. It isn’t surprising that having to wait to talk to a physician can be a frustrating experience, but ProHealth Care Medical Associates found that using Waitlist to give patients a better sense of their wait made patients and physicians happier. 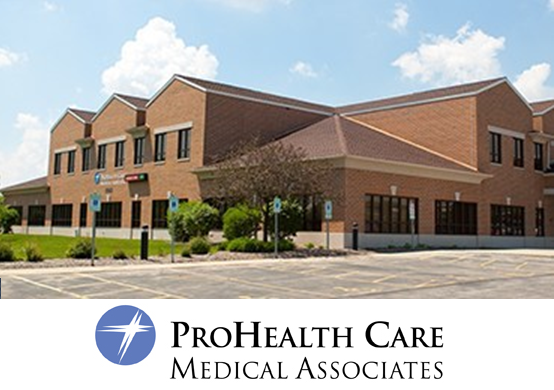 ProHealth Care Medical Associates is an award-winning regional specialty and primary care system with services throughout Southeastern Wisconsin. As part of the ProHealth Care program, the system has an integrated network of closely aligned independent physicians. Services encompass nearly all aspects of health care and includes hospitals, medical clinics, home care and hospice, integrative medicine, well-being and fitness centers, and more. The centers have eight urgent care facilities within a 25-mile radius and see patients on a walk-in basis, which means wait times to see doctors can take anywhere from 60 to 90 minutes. Tolson and ProHealth site leader, Maureen Sensiba, were looking for a way to make wait times easier to manage for patients, when they were approached by a patient who had seen the NoshList wait list app in use at a local restaurant. The customer was specifically pleased with how the wait list app gave her the ability to shop while she waited for her table at Red Robin. That also caught the attention of Tolson and Sensiba, since it would be nice for patients to not have to be constrained to the waiting area. Before getting started, the app had to be shown to the company’s patient experience officer and corporate compliance officer attorney to ensure the app wasn’t in violation of any patient privacy issues. Because the app only shows patient initials, it does not violate HIPPA rules or any other privacy rule, and Tolson was given the ability to then launch the app at the Medical Associates Brookfield, Wisc. location. When ProHealth first started using NoshList, it was more popularly used as an iPad app, so they had to be a little creative in getting to fit their needs for an urgent care waitlist from a computer. Tolson and Sensiba realized that they could customize the public waitlist web page and the Add Yourself feature that restaurants normally use to allow diners to add themselves to a list, and they adapted this functionality for their staff to enter the information. The patient names are put into a computer once they arrive at the center, and they can check their place in line from a phone or computer. When other patients look at the waitlist to determine where they are in line, only the patients’ initials are visible. Then when it is a patient’s turn, the ProHealth staff uses the regular waitlist view to trigger the text and call notifications and remove people from the list. Since that time, NoshList has added the ability to do everything in one place in the browser, and early adopters like ProHealth Care that started using the system in new ways and sending feedback helped drive these product improvements. While the facility operators have yet to determine how the app has impacted wait times, customers appear to be happy with the solution. The physicians also are happier.